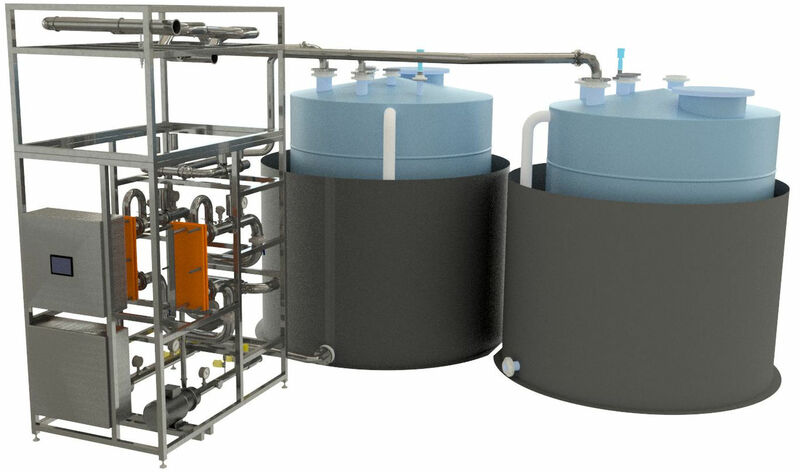 Suncombe SUNpH Neutralisation Systems are used for neutralising acids and alkalis and to buffer and control the outgoing effluent stream. Developed for use in the pharmaceutical, biotech and other critical sectors, they can accept waste streams from processing, CIP, Washer and laboratories. pH Neutralisation Skids encompass the high quality of construction and documentation required in these sectors. Offering total flexibility with manual, semi-automatic, automatic and recipe controlled operation, they are designed to be operator friendly and simple to use whilst providing flexibility and optimisation. Reliable and robust, they have been developed over the last 55 years in co-ordination with clients operations staff, engineers and validation staff. They encompass all elements required to provide an accurate, safe, controllable, repeatable system.